Happy Monday!!! I just realized that I hadn't shared my June Scrapbook Club project yet here on my blog as I was getting ready for my July project:) So here it is. 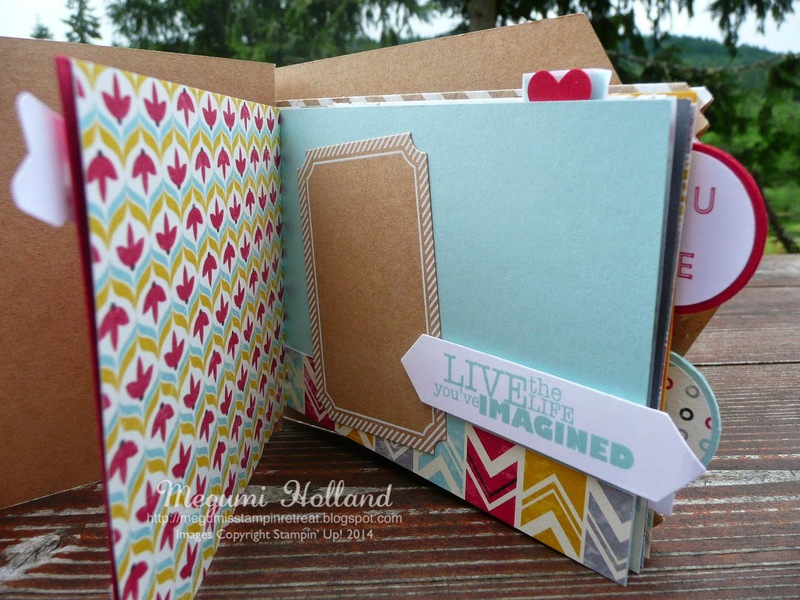 I wish I could get credit for this adorable scrapbook but it goes to a talented SU demonstrator Robin Merriman. 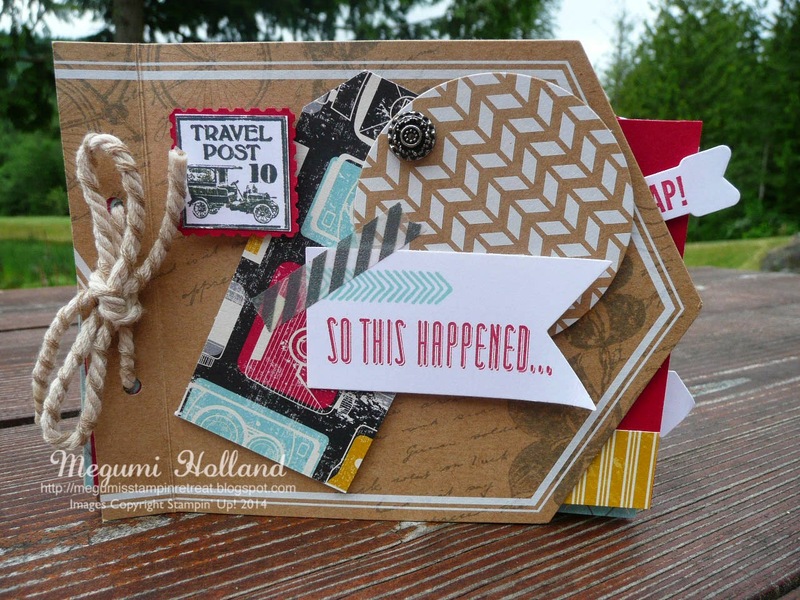 I spotted her scrapbook in the Stampin' Up! Hospitality Room on the Caribbean cruise and took a couple of photos, and gave it a try. 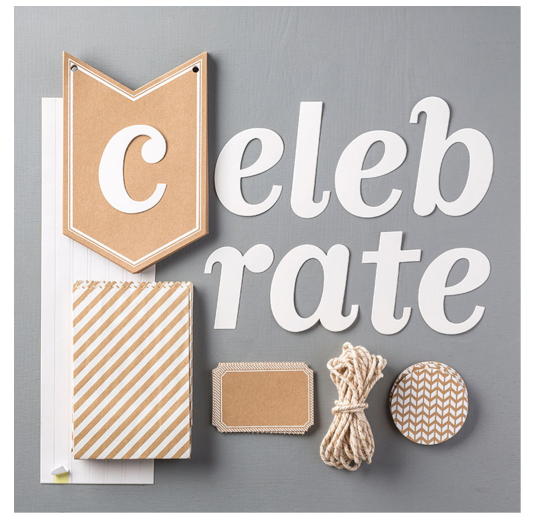 The base of the scrapbook is made with two pennants from the Celebration Basic Kit (see page 202). Isn't it so clever? 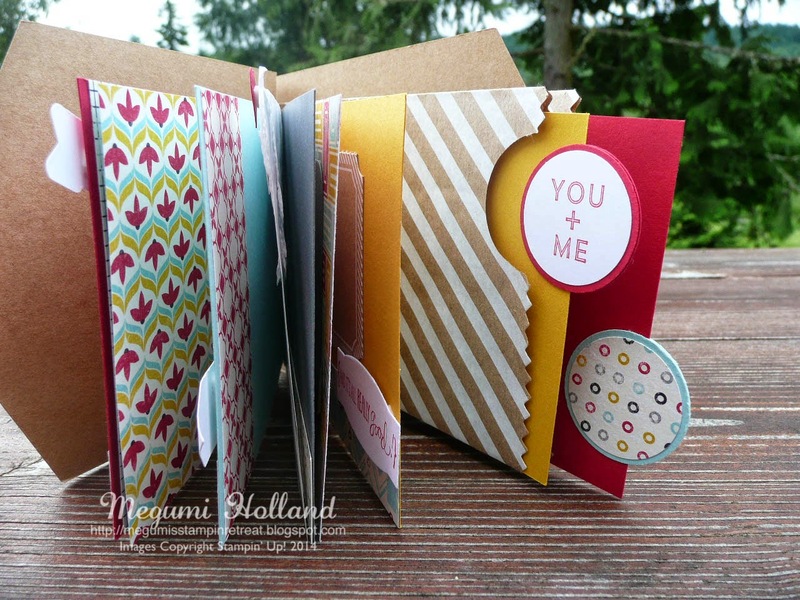 The kit comes with 15 pennants so you can make 7 scrapbooks with one kit. There are other materials such as printed goodie bags, printed tags and jute twine included in the kit. I redesigned mine by adding some die-cuts, other paper (Flashback DSP and Fancy Foil Designer Vellum) and stamped sentiments/images since I didn't have the same stamp sets and other materials Robin used for her scrapbook. I used one of the printed bags to make a pocket which I added two pages with a circle tab. As I recall though Robin's scrapbook used more than one bags but I had to use only one bag in my scrapbook since I was limited to one Celebration Basic Kit for my Scrapbook Club. Thank you for stopping by today. I hope you will give it a try to make your own. It's really a fun project. Have a wonderful day!! !